Acupuncture Can Reduce Dental Anxiety. New research concludes that acupuncture helps to reduce dental related anxiety. In a patient-blinded randomized controlled investigation, researchers compared 182 patients. One group received true acupuncture at auricular points. 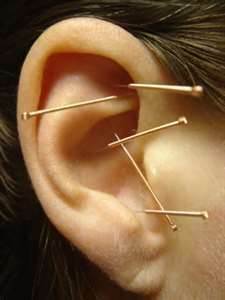 The second group received sham acupuncture (non-related acupoints) and a third group did not receive acupuncture or any medical procedures for the treatment of anxiety. The researchers measured anxiety levels prior to getting acupuncture and 20 minutes after receiving acupuncture which was immediately prior to the dental work. Anxiety levels in the true acupuncture group reduced significantly and slightly in the sham acupuncture group. In the non-intervention group, anxiety increased. Did George Washington's Famous Denture Do Him In? Was the throat infection that took George Washington's life caused by colonies of bacteria that grew in his world-famous dentures? By all reports, he was a very athletic, strapping man who was taller, larger, and stronger than the average countryman of his time. So how is it that he became ill and died in only 3 days at the age of 67? 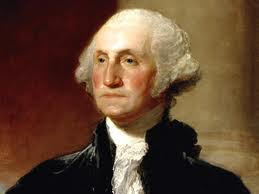 Washington suffered from both dental problems and various illnesses in his younger life. He lost his first adult tooth at 22 years old. By the time he became president in 1789, at the age of 57, he had only one tooth remaining despite daily brushing and the use of toothpaste and mouthwash. At his inauguration he was wearing a full set of dentures that were attached to his final tooth. Washington was treated by no fewer than 9 prominent dentists who practiced in colonial America. The denture prepared for Washington had a base of hippopotamus ivory carved to fit his gums. The upper denture had ivory teeth, and the lower plate consisted of human teeth fastened by gold pivots that screwed into the base. The set was secured in Washington's mouth by spiral springs. The upper and lower gold plates were connected by springs that pushed the upper and lower plates against the upper and lower ridges of his mouth to hold them in place. Washington actually had to actively close his jaws tightly to make his teeth bite together. Now we know much more about the connection between oral health and systemic health. We know that bacteria in dentures can cause upper respiratory infections, cardio-endocarditis, intestinal infections, open wounds and other things. On Thursday, December 12, 1799, Washington spent the day outside in the snow and freezing rain inspecting his estate, Mt. Vernon. He ate his dinner that night in his wet clothing. The next morning he complained of a severe sore throat. Accounts now attribute the cause to quinsy, acute epiglottis, or possibly thrush. Quinsy is a bacterial infection causing severe inflammation of the tonsil area, often leading to the formation of an abscess that may require surgery in the tonsil area. Acute epiglottis is a bacterial infection around the epiglottis, which can cause severe air blockage, and thrush is a yeast infection that can develop in the throat or mouth. Washington's condition worsened through the day until early Saturday morning, December 14, when he awoke Martha, his wife, telling her that he felt ill. Although several physicians were summoned to his bedside, Washington died at 10 pm. Where did these infections come from? It is strongly suspected that the infection could have been harbored in Washington's dentures. Preparing Patients for Future Oral Healthcare Decline. Elderly dental patients typically are challenging to treat due to their poor cognitive skills and manual dexterity. Older patients need treatment-planning strategies specific to their individual needs. The discussion needs to begin with the 50-60 year old patient regarding the need to prepare their mouths for the future assault that aging brings. Like their physicians do, a dental plan of action should be established. There are a number of issues that pre-retirement patients should be aware of, such as dry mouth secondary to medications. The dental plan should address both the financial and treatment planning arrangements in anticipation of future challenges. This plan needs to protect the teeth from dry mouth and resultant root caries, maximizing the patient’s individual insurance benefit. Routine care for the elderly is critical. Some even benefit from a 3-4 month cleaning schedule. Daily use of fluoride may also be recommended. Dental treatment planning for the future decline should start in the 50’s, 60’s, and 70’s. Dental restorations should be designed to withstand the lack of oral care that commonly occurs as a result of the aging process. Fillings and crowns need to be easy to keep clean. Extraction and implant placement should be considered in situations where there is a guarded prognosis. Treatment planning should provide for implant retained lower dentures to allow proper nutrition and bone preservation and help prevent ill-fitting dentures from rubbing ulcers. This level of care needs to be completed when the patients are healthy and able to receive the care. Supervised tooth-brushing should occur twice daily-after breakfast and before bedtime—with a regular toothbrush and fluoride toothpaste, not a toothette or sponge. An accountability system with regular evaluation should be established. A decay risk assessment should be performed to determine fluoride need. An assessment of resident pharmacy formularies should be performed to determine fluoride prescription coverage and availability. Appropriate fluoride application should be administered depending on the level of decay risk: fluoride toothpaste, fluoride rinse, and fluoride gel. Staff training should occur annually for proper administration of fluoride toothpaste, fluoride rinse and fluoride gel. The last cleaning and due date for the next cleaning should be documented in the resident’s medical record upon admission. Assessment and identification of barriers to obtaining regular professional cleanings should be performed (id, funds, transportation, behavior challenges). Confirmation and documentation that the facility dental provider offers regular professional cleanings (ie, every 3-6 months) for the residents should be secured. Dentists need to play an active role in the oral healthcare of geriatric patients, including those residing in LTCF’s. It's an activity almost no one enjoys, yet is so important when it comes to staying on top of your oral health. Flossing: It can be awkward, difficult, time-consuming or maybe you just don't understand the importance of it, but it's an essential part of your daily cleaning routine. Just the Facts: Floss at least once a day to achieve optimal oral health. Daily flossing helps remove plaque from the areas between your teeth where the toothbrush can't reach, which is important because plaque that is not removed by brushing and flossing can eventually harden into calculus or tartar. Flossing also helps prevent gum disease and cavities. REMEMBER: NOTHING ELSE YOU CAN DO TAKES THE PLACE OF FLOSSING. NOT TOOTHPICKS, NOT CHEWING GUM, NOT EVEN MOUTHWASH. Getting it done: Try to make flossing a priority in your daily life. It makes no difference when you floss--pick a time of day when you can devote an extra couple of minutes to your oral hygiene. And it's just not adults who need to floss--children should be having their teeth flossed by an adult as soon as they have 2 teeth that touch. Flossing should not be painful with normal, healthy gums. You may feel discomfort when you first start flossing, but don't give up. That discomfort should ease within a week or two. If your pain persists, talk to your dentist. If you find flossing difficult, consider a different flossing method. People who have difficulty handling dental floss may prefer to use another kind of device such as a wooden plaque remover, dental pick or pre-threaded flosser. Ask your dentist how to use them properly to avoid injuring your gums. 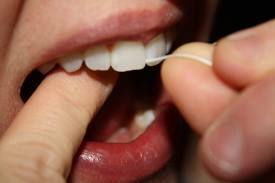 You may simply need to try another type of dental floss--waxed, unwaxed, thick or comfort floss. Stick with it and you'll have adopted a health habit for life! 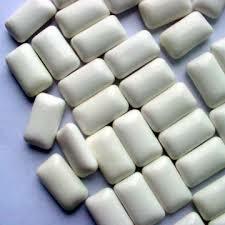 Chewing Gum Can Be Healthy For Your Teeth. There has been evidence of improved oral health associated with chewing gum containing xylitol, twice a day for 15 minutes. There is a a definite increase in saliva production and flow. This increase results in lower plaque and healthier gums. This is particularly significant for our aging population who typically experience decreased salivary production and flow. The resultant decrease leads to increased decay and gum disease. Chewing sugar-free gum can add to the quality of life for the aging population.